Blade & Soul CN has released a new set of level 50 weapon along with elemental legendary accessories. This guide is to give a specific quantitative analysis on the performance and effect of these new legendary weapons and accessories. Blessed S1 weapon is likely to be the best mid-tier weapon among all the level 50 weapons in terms of value for Blade and Soul Gold. For most new players, it can be the target for most new players to the game. It is obvious that the calculation result may differ slightly, which depends on its current stats, but the general conclusion from the analysis will still be valid. I will use 2 characteristic skills for destroyer for damage comparison, namely, Demolition (RB) and Smash (X). Assume that the target has 10% defense (which is the defense for most bosses in Blade and Soul). Pierce stats is not important in PVE because of its low defense of the boss. 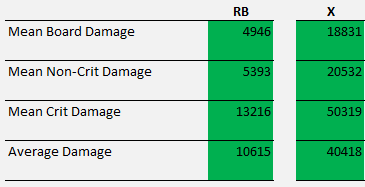 Below is a comparison for the cases with buff and without buff for various weapons below. 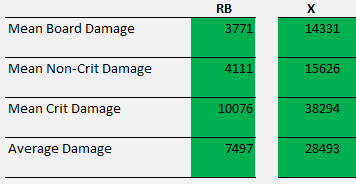 With this weapon (without buff), RB and X deal -9% damage relative to the baseline weapon without buff. When the attack buff is triggered, RB and X deal -28% damage relative to the baseline weapon with buff. Upgrading to S1 gives higher damage especially when the blessed S1 buff is triggered. The 2 methods for getting from Dark Sky to Blessed S1 are exchanging it with 20 x S1 Liquor (100%) or 125 x S1 Crystals (chance based, if you feel lucky).